What does this word mean to you? How do you feel when you say it and experience it? Where I live, winter has been thrilling us for four months now and there is absolutely no end to the snow’s beauty bathing us in splendor. We’ve been living on snow and will be for at least two more months. My delight with this reality hasn’t been with me every winter though. And the other day it dawned on me that this experience of breathtaking beauty and complete snow cover is actually quite rare. Being within it for this long, I forget that this isn’t the case for most. Where we live can have a tremendous influence upon how we view winter. Spending a dozen or so winters on the coast of Maine felt brutal at times, while arriving in Denver and bellowing out, “there’s no winter here, it’s 50 and sunny most of the time” felt great in that moment. 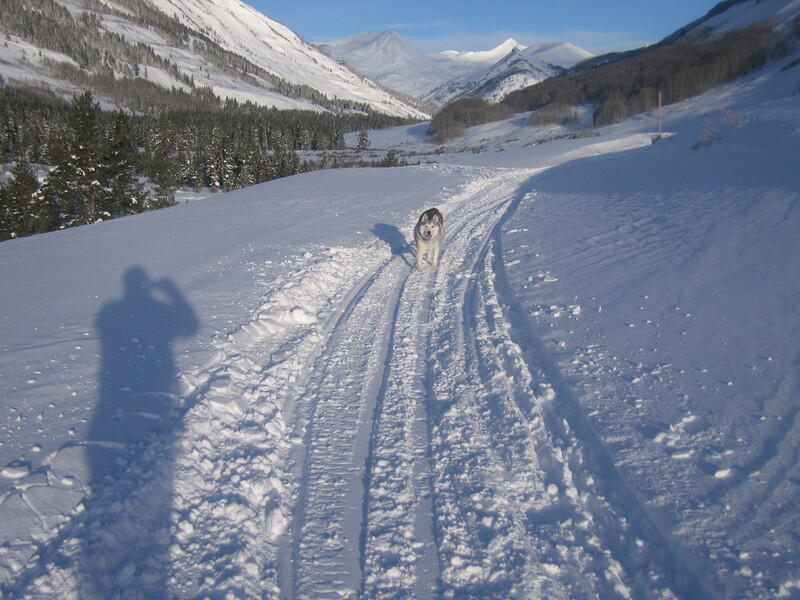 Seattle’s winter seemed absurd to me and, well, Crested Butte’s—oh my god, glorious. But does the weather really dictate my state of euphoria or normality or even depression? What other factors play a part in this? Being a gardener and food grower brought me in close relationship to the seasons. In the regions where I have predominately resided, winter was a time of going within, resting, moving slower, going to bed earlier, getting up later—generally using the suns energy to dictate the pace of living. A time of greater reflection, stillness and conserving of personal resources. Lots of soups, root vegetables and potlucks. And yes, sometimes it was so darn cold, bleak and grey that depression certainly showed its face. But even this usually was a marker for not being in the actual flow of reality, and wishing for it to be different, instead of allowing what was, to just be. The standard US way of living does not take the “inner” possibilities of winter into account. For most unfortunatelyit is still, go, go, go regardless of the fact that the Earth’s nature is moving through cycles, why aren’t we? And here, in Colorado, in a small resort ski town? Many years ago upon arriving here it became apparent that people living and visiting here actually chose to be here. Snow, cold, altitude, all of it. And what a difference this makes, the consciously choosing part. Seemingly happy people basking in the glory of it all. What a contrast from northeastern coastal regions where what snow comes is usually immediately followed by rain, which allowed the snow to quickly become ice, and therefore wasn’t recreationally fun anymore, and generally a hindrance. So while a ski town on the surface appears to be the real deal of winter, it actually possesses some attributes that the populace isn’t as adept at navigating—slowing down, going within, refueling personal reserves. There is a level of mania present that is heightened by endorphins, the altitude, and can also be drug enhanced, whether that’s alcohol, caffeine, sugar or even the big ones. The excitement level is so high that alternately burnout and euphoria replace deep personal contact for many, whether with each other or the greater non-snow based cosmos. The idea of basking within winter without that go, recreate, go mentality doesn’t seem to be highly regarded. It is certainly evident that operating counter to any given predominant cultural paradigm is fraught with challenges. How pervasive is the idea of the American dream after all— or not adjusting the workday to the actuality of the seasons—or just not going within at all for some? Bucking any trend takes a toll, but it’s worth it by developing a stronger, healthier core that can then traverse many obstacles. Can we truly relate to the winter of our chosen region? And shouldn’t this relating look radically different depending upon latitude or altitude—thereby influencing attitude? What is winter like in your locale? How do you relate to this season of darkness and then the growing light? This entry was posted on March 4, 2011 at 9:19 am and is filed under Feelings with tags American Dream, depression, feelings, mania, seasonal rhythms, winter. You can follow any responses to this entry through the RSS 2.0 feed. You can leave a response, or trackback from your own site. Honestly, right now, I’m on the verge of hypomania. I’ve been depressed most of the winter, but the longer days and the increased sunshine have me on the verge. Right now, I’m happy with the mood and the sun! Thank you for discovering this post and writing. Many in my family have struggled as well . I’m sending you kind thoughts for successful navigation of these sometimes turbulent waters. Thank you Matthew for making us consider how important the earth rhythms are to our sanity and to our bodies wellness. We are sorely off the mark if in our attempt to exercise, eat right and create health in our lives we do not estimate the necessity of having earth rhythms and seasons, sun rising and setting, temperature changes, Electromagnetic influences at the heart of our lives…we have lost that connection and awareness I am afraid. One day you said to me “Sarah, you should be home when it is dark, you should be slowing down, it is the dead of winter!” I heard your voice many times this winter and definitely need to find that balance more this next trip around the sun!